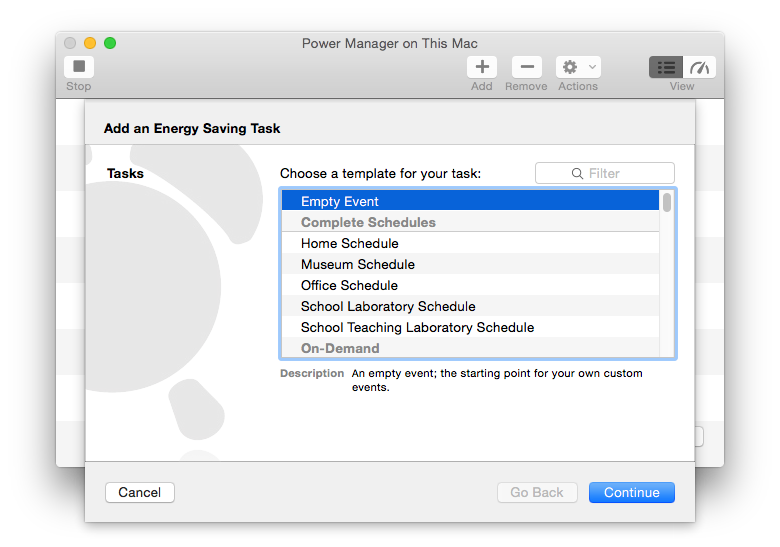 Power Manager includes a wide range of guided tasks for creating events. These tasks cover many common situations but occasionally creating your own event is required. In this recipe we will cover how to create an empty event and how to build upon it. 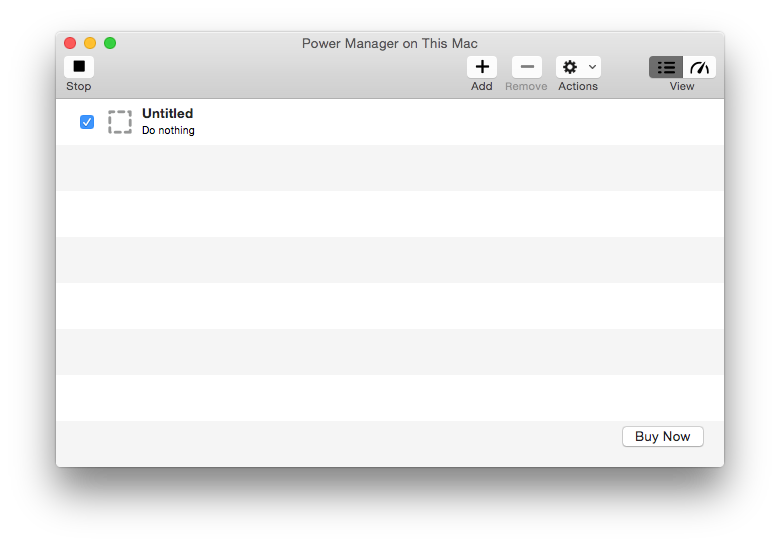 An empty event in Power Manager is an event that has no triggers, conditions, or actions. 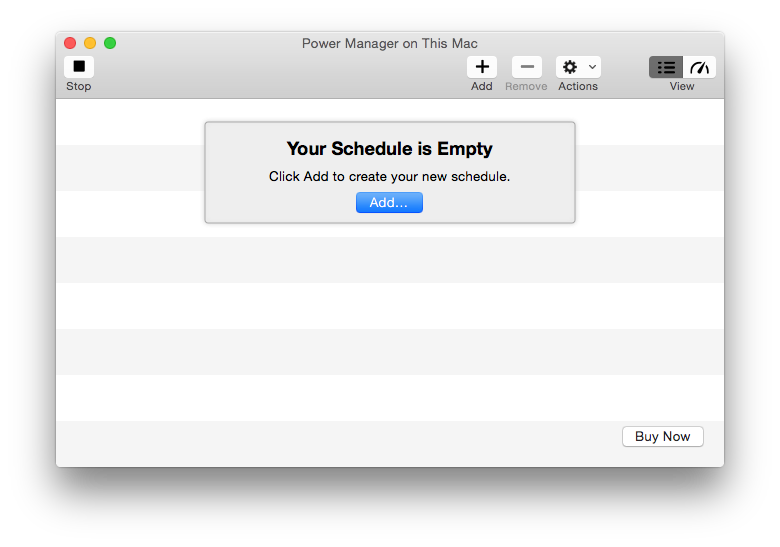 An empty event is a canvas for your own creations and custom workflows. 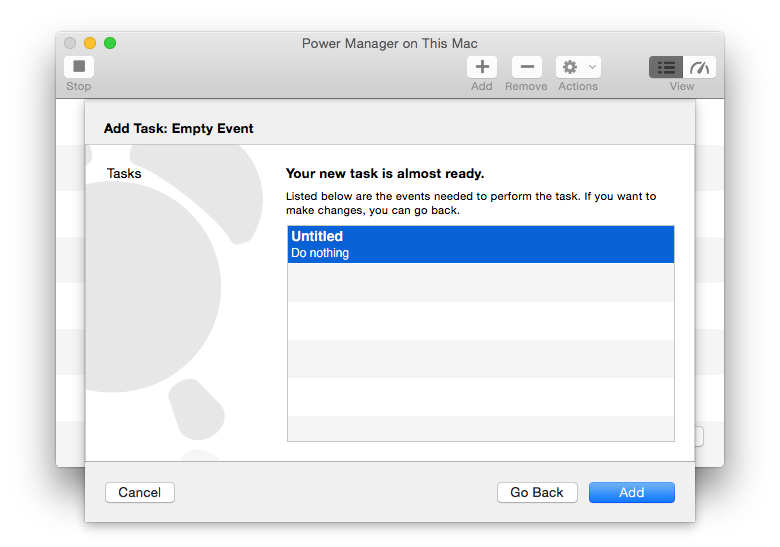 Select the Empty Event task. Continue through to the Confirmation step. Add your new empty event. Your new empty event has been created and is ready to build upon. Left unchanged, an empty event does nothing. The event contains no triggers and no actions to perform. The next step is to add your own content to the event. You can add multiple triggers to control when the event is evaluated. You can add conditions and clauses to determine if – after being triggered – the event's actions should be performed. You can add a series of actions to be performed. 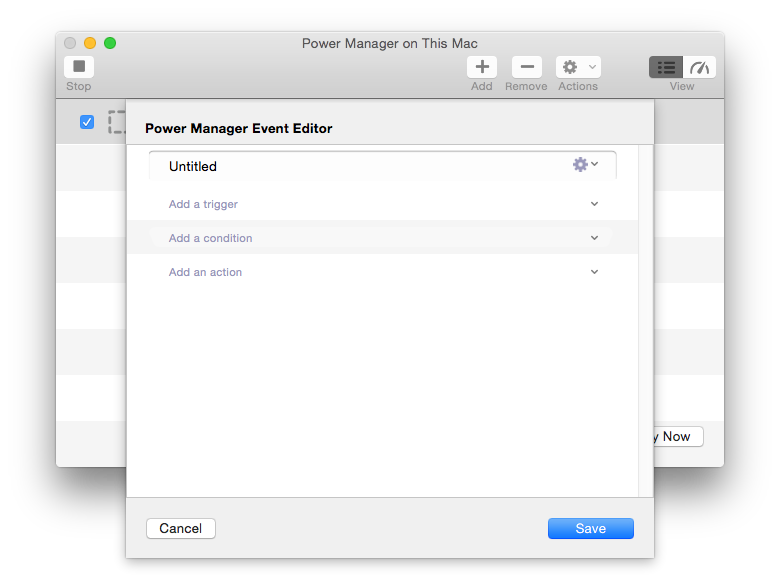 Opening the event will show the event editor. The editor lets you customise almost every aspect of an event. This article was posted in PM4, Power Manager, and Recipe and tagged event editor.